An essential component of eating locally is being prepared when the local food universe brings you something delicious, even if it wasn’t planned. Such was the case when some absolutely lovely shiitake mushrooms came my way from a local farm. Since they are very delicate and have a short shelf life, we needed to make something amazing with them…very quickly. I could have used my usual stir fry recipe and added them in, but when I have something special and delicate, I like for it to have the chance to be the star. Enter Bon Appetite online! 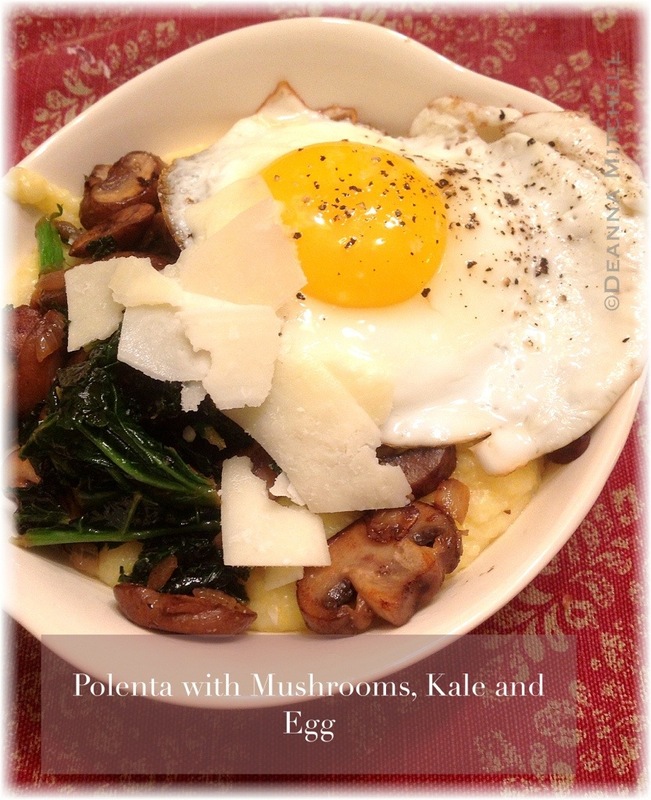 THIS wonderful recipe found its way into my Facebook news feed and it was like the food universe was in agreement that I must eat mushrooms this week. In case you’re wondering, when the food universe speaks, I usually listen. Sometimes the universe tells me I need some Five Guys, in which case I also listen and EAT, but mostly it tells me nice, healthy things. This is my adaptation of the Bon Appetite recipe (the original is HERE). My version doesn’t look as beautiful, but such is life. Basically, I cut the pasta required in half and increased the vegetables in the sofrito, but I pretty much followed the basic recipe. 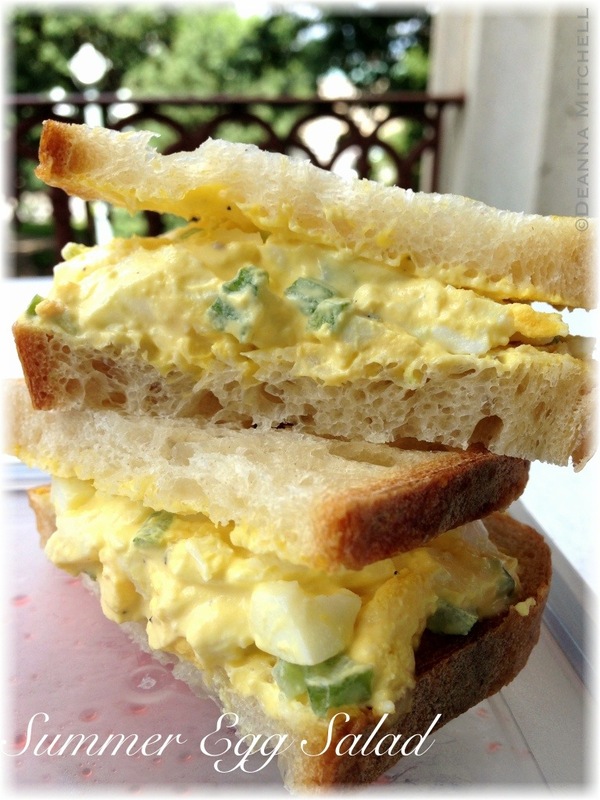 It is absolutely delicious, with a delicate flavor and a light dish that is perfect for these late summer evenings. We will definitely make this again! Make a sofrito by sauteing the onion, carrot and celery in 3 tablespoons olive oil over medium heat for about 15 minutes. Vegetables should be soft. Add salt, pepper and smoked paprika and saute an additional 2-3 minutes. Add sofrito to a bowl and set aside. Boil water for pasta in a stock pot. Add a handful of Kosher salt to the pot. Add the pasta and stir. In a deep saute pan, heat the remaining 4 tablespoons of olive oil over medium heat. Add the mushrooms and saute for about 4 minutes. Season with salt and pepper. Add the garlic to the saute pan and stir, cooking for 3o seconds. Add the sofrito to the mushrooms and stir well. When pasta is done (about 9 minutes), add the pasta, Parmesan cheese and a bit of pasta water if needed. Combine all ingredients well. 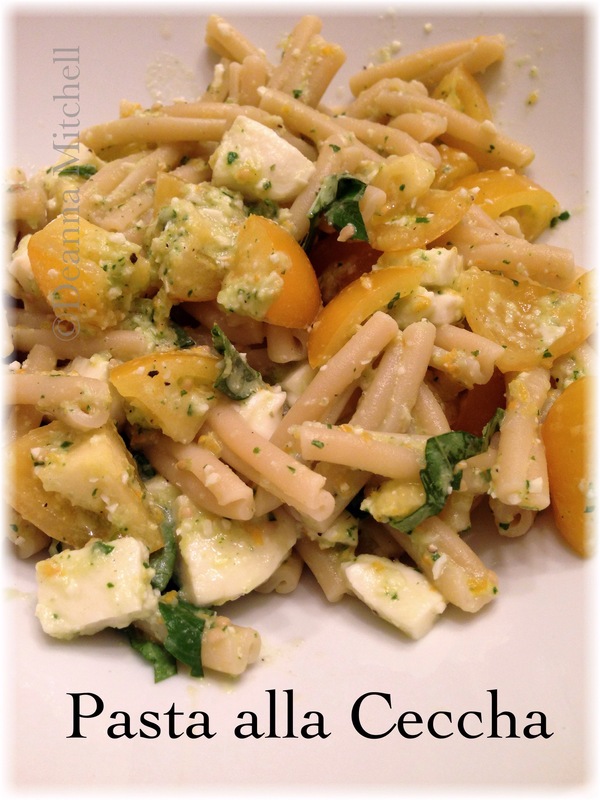 Plate the pasta by topping each serving with dollops of ricotta cheese and egg halves. Tom and I are starting our Jeff Galloway half-marathon training program next week and I am busy reading about foods that will help fuel us without weighing us down. I know pasta is considered a “no-no” in many circles, but whole grain pasta just can’t be beat for giving me long lasting carb energy. 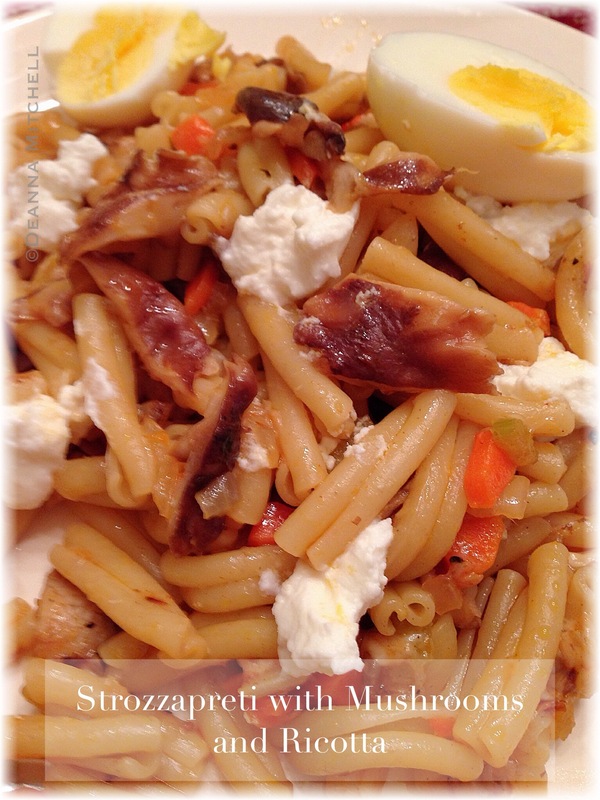 This pasta recipe came about from a Pinterest pin by Lauren’s Latest. The original recipe for Roasted Red Pepper and Goat Cheese Alfredo sounded so good, I couldn’t wait to try it. Fortunately, our peppers here are going crazy this fall, so beautiful sweet red peppers are quite affordable at the farmers markets. I increased the amount of red bell pepper and added some fresh shrimp and some local, organic Shitake mushrooms, but otherwise I stuck pretty close to the original recipe. 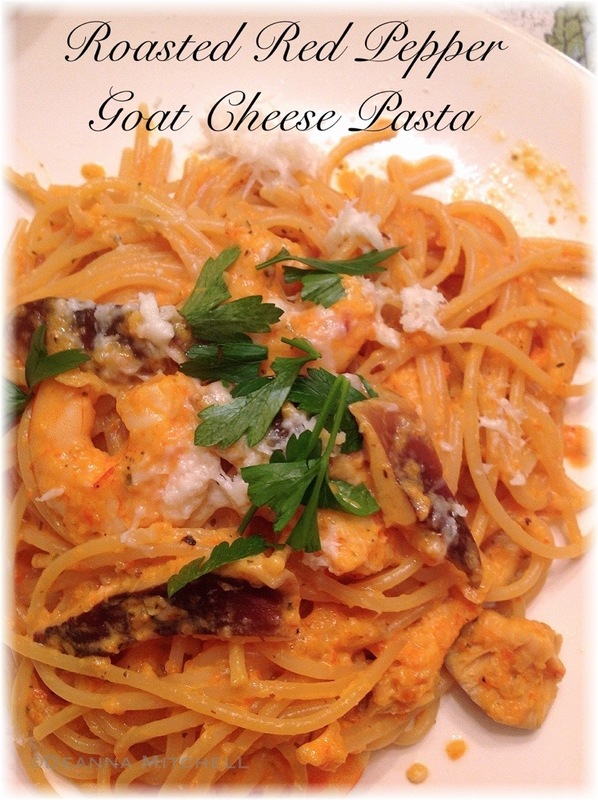 The result was a light and delicious pasta that had a fresh taste, but also had the rich taste of the goat cheese. We used some basil-black pepper local goat cheese from the Hillsborough Cheese Company, and it was super with the red peppers. Heat a gas grill to high. While grill is heating, toss the whole bell peppers with the tablespoon of olive oil. Using tongs, put the peppers on the hot grill. Cover and let cook for about 8 minutes, turning peppers every 3-4 minutes. Peppers are done when the skin is charred all over. Put the hot peppers in a large bowl and cover the bowl with a lid or a plate. Let steam for about 15 minutes. Put a stock pot of water on to boil (for pasta). While peppers are cooling, heat the grapeseed oil in a deep skillet. Add the onions and cook for 3-4 minutes, until soft. While onions are cooking, remove the charred skins, stems and seeds from the roasted peppers. Chop the peppers and add them to the skillet. Add the garlic and cook 1 minute more, stirring well. Add the cup of half and half, asiago and the goat cheese. Stir until cheese is melted, about 3 minutes or so. While pasta cooks, add the shrimp and mushrooms to the blended sauce, and cook until shrimp are pink and opaque–about 6 minutes. Drain the pasta and add pasta to the pan with the sauce. Toss to coat the pasta well. Serve immediately. Garnish with fresh parsley or more cheese. My friend Jerry sent me this recipe last year (thanks, Jerry!) and it has become a staple for us, especially when time is tight. 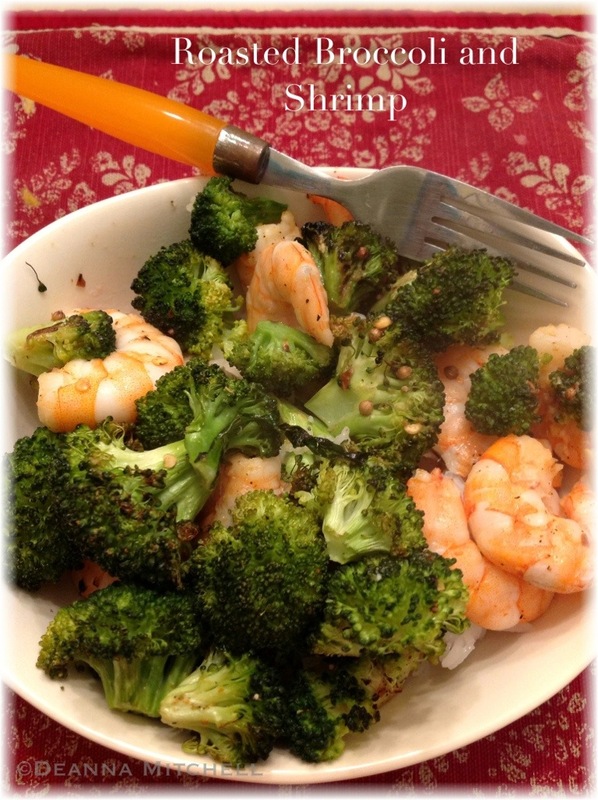 This recipe features local, organic broccoli and NC shrimp–a simple, and amazingly good combination. Although it wasn’t in the original recipe, I sometimes add sliced red bell pepper when I have it fresh.This recipe is light, but satisfying and quite tasty. Don’t skimp on the coriander seeds or hot pepper–they infuse the entire dish and make it something special. 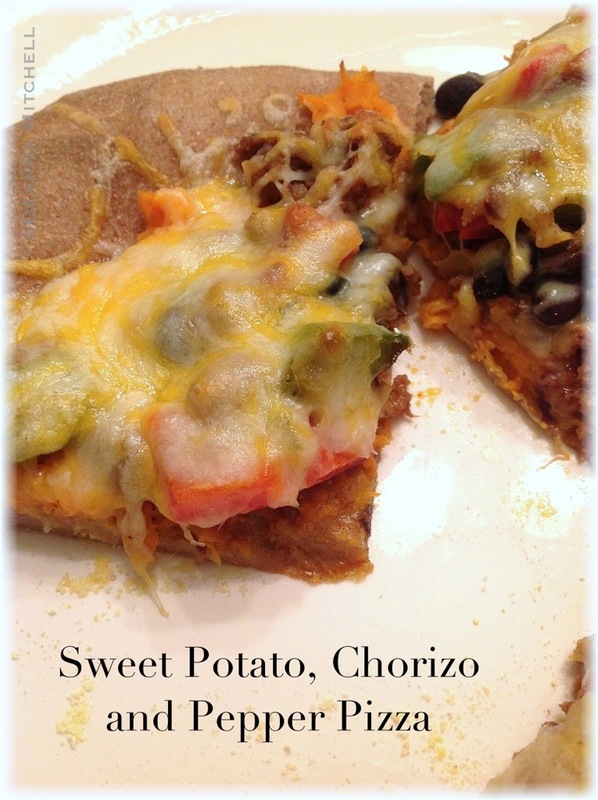 Healthy, quick and easy to make, this recipe hits all the marks for a succesful, weeknight dinner. And even better, it only uses one bowl, a cutting board and one baking sheet, making cleanup super quick. A note about shrimp. I bought large-sized shrimp and 10 minutes was just right for roasting. If you buy medium or small shrimp, you may want to back off on the roasting time. If you don’t have access to local or U.S. shrimp (or you just don’t like shrimp), you could probably try this with a thick, locally available fish (here that would be tuna or swordfish) cut into chunks. Scallops might be good also! You could also play around with what vegetables to include, and make this a truly seasonal dish. 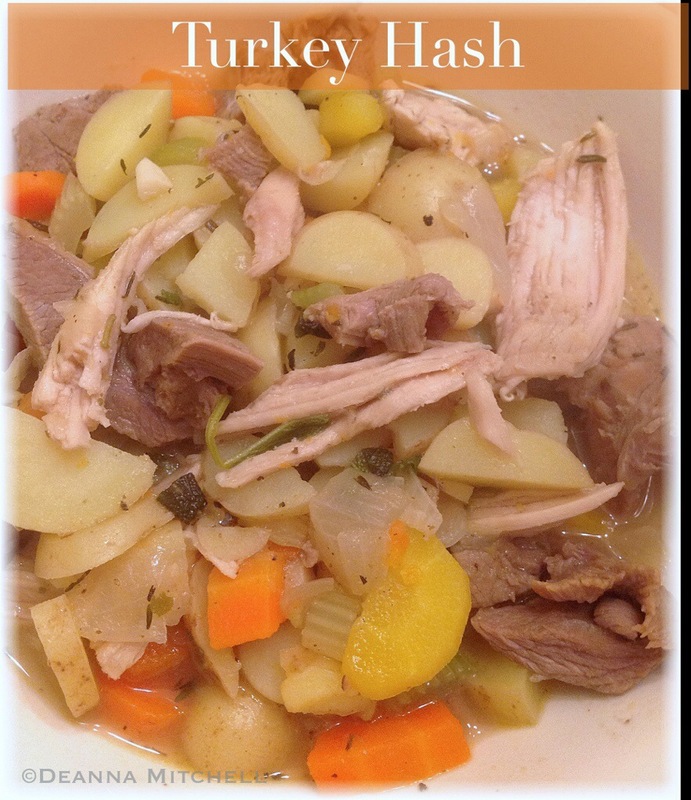 I can’t wait to see how we can work our Produce Box veggies into this dish over the spring and summer! This makes 3 servings or 2 servings for hungry seafood lovers! Cut the broccoli into large florets with some stem remaining. Cut the red bell pepper into strips and cut each strip in half crosswise. In a bowl, toss the broccoli florets and bell pepper with 2 Tbsp. olive oil, coriander, cumin, hot chili pepper, and salt and pepper to taste. Put broccoli and pepper mix on a rimmed baking sheet and roast for 10 minutes. In the bowl, toss shrimp with remaining 2 Tbsp. of olive oil, lemon zest and salt and pepper to taste. Add to the broccoli mix and pop back in the oven for another 10 minutes or until the shrimp is pink and opaque, but not overcooked. Serve over rice with lemon wedges and you are done! We are increasingly finding that in a world of complicated, specialty recipes, some of the best dishes we make have just a few basic ingredients. This super easy stir fry is an example of this. It focuses on fresh North Carolina scallops from Locals Seafood, a small farmer’s market-based seafood delivery service that supplies our family with all of seafood. Their North Carolina scallops are the best I have ever had, no question. 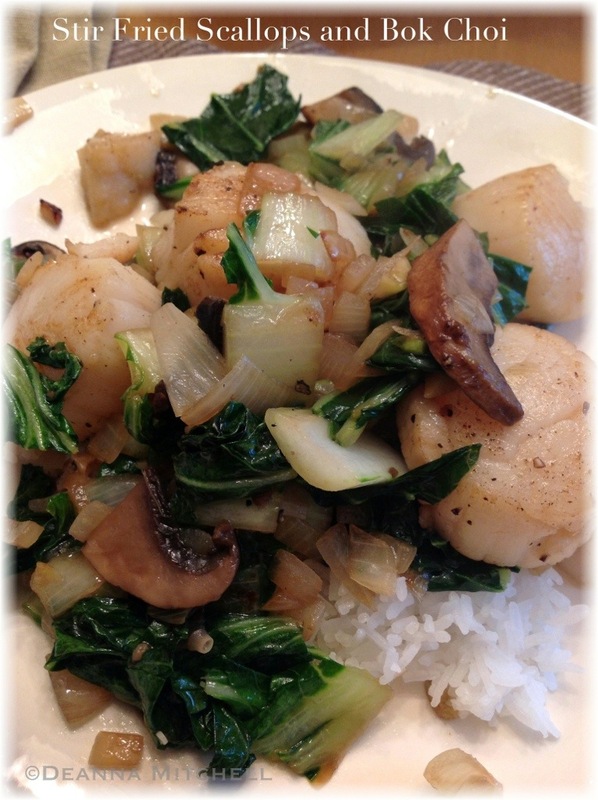 So this week, we treated ourselves to fresh, NC scallops while using up some of the extremely prolific Chinese cabbage from our garden and a leftover portobello cap from our little “pizzas”. Turns out, this is a great combination we’ll make again. The sweetness of the scallops and the greens balance well with the earthiness of the mushrooms. Tom and I ate the whole thing by ourselves! In a wok or large skillet, heat 1 tbsp. coconut oil over high heat. Add onion and stir fry quickly for about 2 minutes. Add mushrooms and continue stir frying quickly for 1 minute. Add greens, ginger and garlic and continue stir frying for another 2 minutes, or until greens are wilted. Season with salt and pepper. Remove vegetables to a bowl, wipe wok and heat remaining 1 tbsp. coconut oil over high heat. Add scallops and stir fry 1-2 minutes (this will depend on how thick your scallops are). Add vegetables back to wok, heat for 1 minute and turn off heat. Serve over hot, cooked rice or noodles or just by itself. It is very cold here in central NC (in the mid-20s) and icy. And all my boeuf bourguignon is gone (dang). I’m craving carbs and comfort food, but I’m too busy during the week to make a big pasta production. So this week I experimented with cooking some locally made pierogi. At last week’s farmers market, I visited the booth for Melina’s Pasta and found some delicious-sounding pierogi stuffed with blue cheese and bacon. I had never made pierogi before, but I was assured that it was easy. Boil like pasta and toast lightly in butter. I can do this. You can use this basic recipe with any kind of pierogi or ravioli. If you live in central NC, find Melina’s Pasta–I HIGHLY recommend the blue cheese and bacon pierogi (how could that combination go wrong, I ask you?). It was a terrific blend of flavors–not too strong on the blue cheese. In a stock pot, heat water for pasta until boiling. Add pierogi to water and cook according to package directions (8 minutes for our frozen pierogi). When pierogi are almost done cooking, melt the butter in a large saute pan over medium heat. When foam subsides, add the finely chopped broccoli to the pan and cook. Using a slotted spoon or spider, remove the pierogi from the water and add to the saute pan. Cook pierogi on each side until lightly toasted and browned,about 1 minute per side. 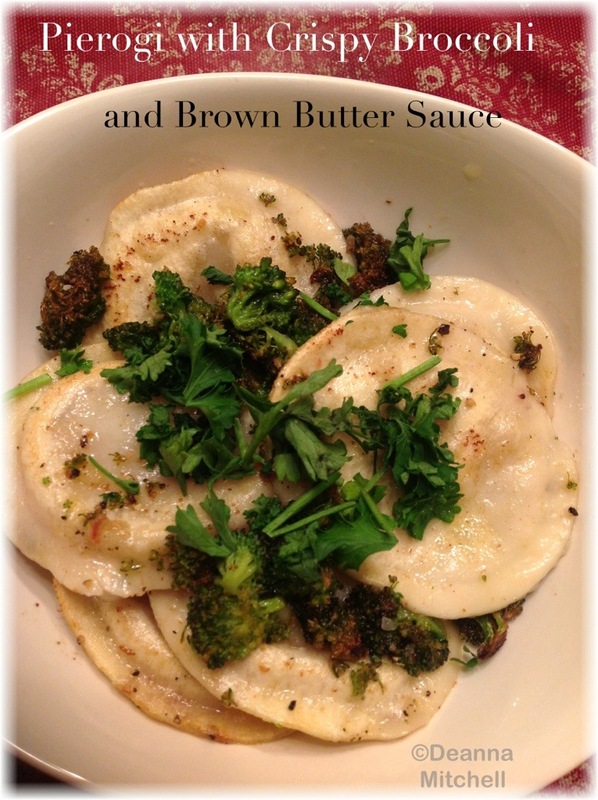 Remove pierogi and broccoli to a warmed bowl and top with chopped parsley.